There have been a lot of hurricanes this year and it is the perfect time to make sure you are prepared for a natural disaster if you need to get up and get going on the fly. This includes your four-legged friends. I realized that I wasn't as prepared as I thought I was when it comes to my family and my pets. I live in an area that gets left over tropical storms and a handful of tornadoes. 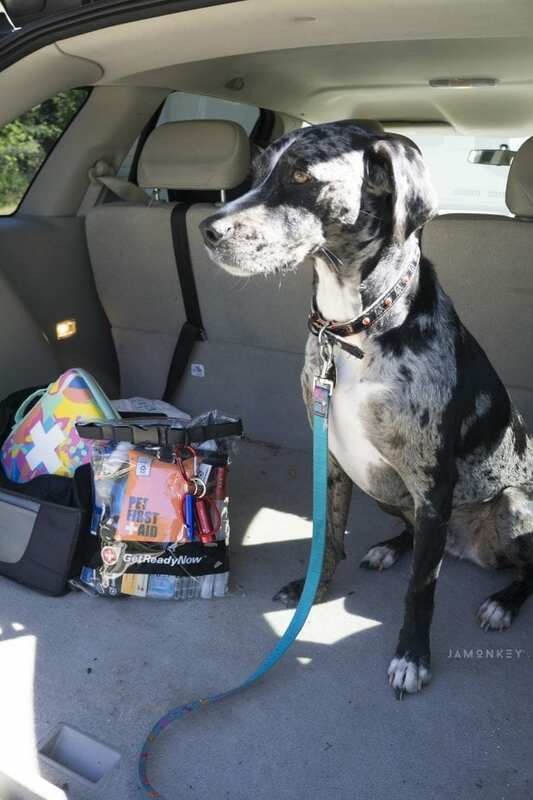 I was excited to get the chance to review the Get Ready Now’s Pups & Peeps Road Combo Pack so that I can get better prepared for an emergency like this. 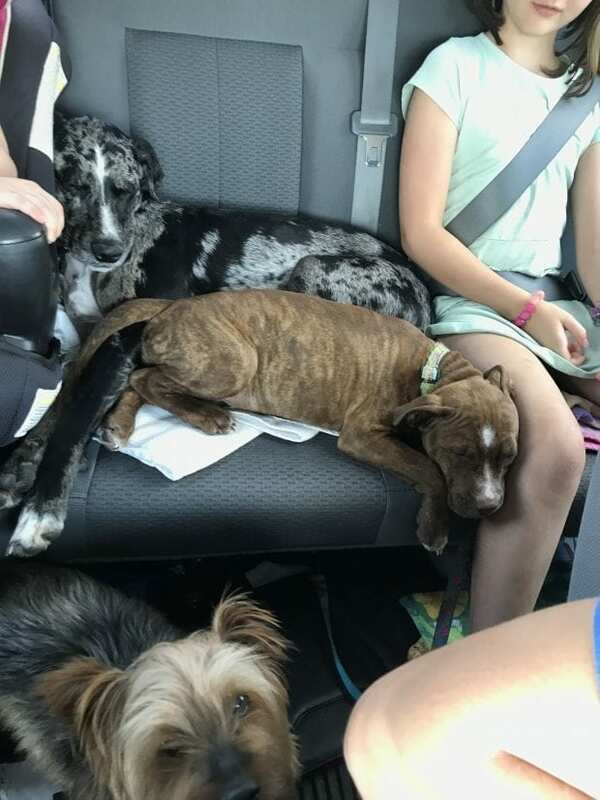 I can sleep a little easier now that we have a “go bag.” The Get Ready Now’s Pups & Peeps Road Combo Pack is unlike any other vehicle accessory or travel and outdoor essential on the market. The packs are waterproof, clear and the gear and supplies are ready to use with batteries installed. When time is of the essence, having everything ready to use makes all the difference! The bag that it comes in is a heavy duty wet bag. This keeps everything safe from any rain and flood that may occur. The food and water in the kit is shelf stable for five years so you can place it in the car and not have to worry about it. Just remember to change out those items every five years to be safe. Other vehicle kits provide tools to take care of the car – not yourself and your dog! I have three pups so I would add some extras to my bag to make sure that I had enough supplies for each of them. 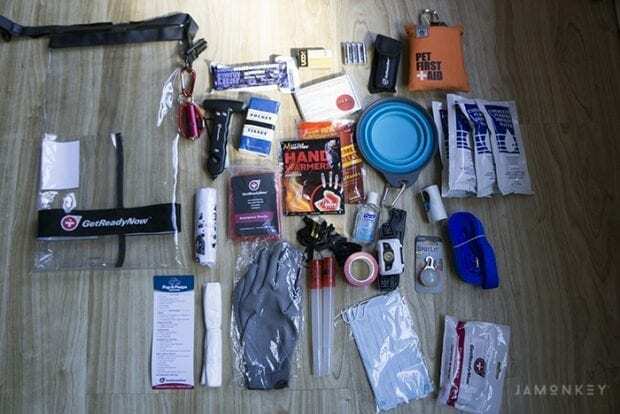 The rest of the bag has your standard emergency kit materials. You can see the full list here. My favorite thing from the kit is the seatbelt cutter and window breaker. Having a go bag like this is important for you and your pets. It's always better to be safe than sorry. When you need it the most. A survival kit can be essential. You can find your Get Ready Now’s Pups & Peeps Road Combo Pack here. They have lots of other great kits as well.